OLD PARKED CARS. : 1981 Volkswagen Rabbit Pickup. i feel like i see these restored and customized at an increasing rate lately. 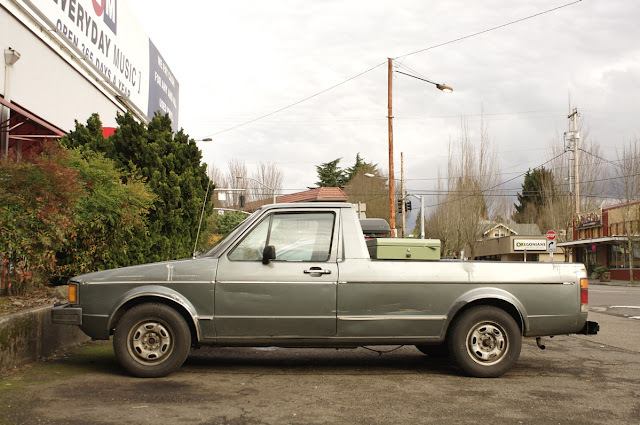 finding one with a cargo box in the bed and work-truck patina feels like a glimpse of sasquatch. This thing is totally cool. I really like the patina. It's a truck.. AND it's a Volkswagen! 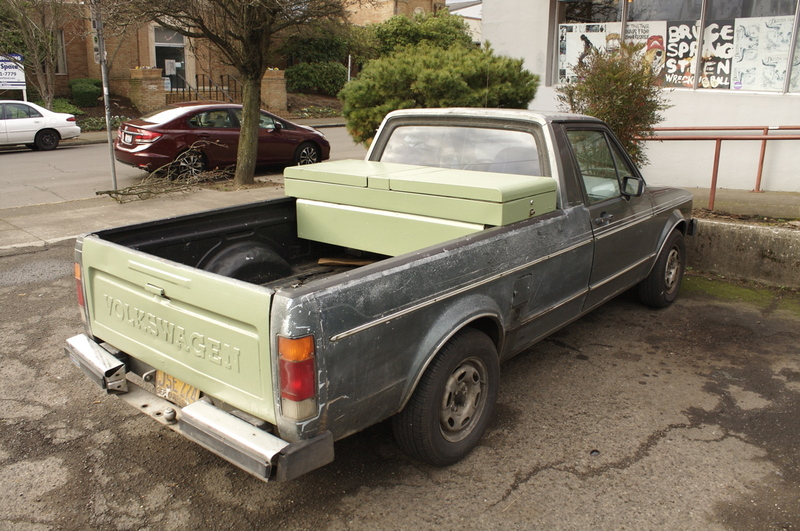 Great to see what Volkswagen's corporate concept of what a pickup should be like, circa 1981. Nice sharp edges. They liked it tidy and neat. I like your comment about it feeling like catching a glimpse of a sasquatch. V good. Yeah, if the stanced crowd gets one its quickly painted matte black and scraping the pavement. Love the honesty. Yes the sport tuners love to fiddle with the Rabbits and such, but this one with the ripples, dents and oxidation makes absolute sense... it's a work truck. A mini truck nonetheless but still a work truck. I see a few of these occasionally one is a lowered custom stanced long bed on deep dish barrels. it looks pretty good in either form. they make something like this today in south america it is called the saveiro. great find. I wish you could get a modern vehicle like this: decent fuel mileage, low lift-over height, decent ride & handling. Nice to see it in workhorse/DD condition, and not molested by the stance crew. 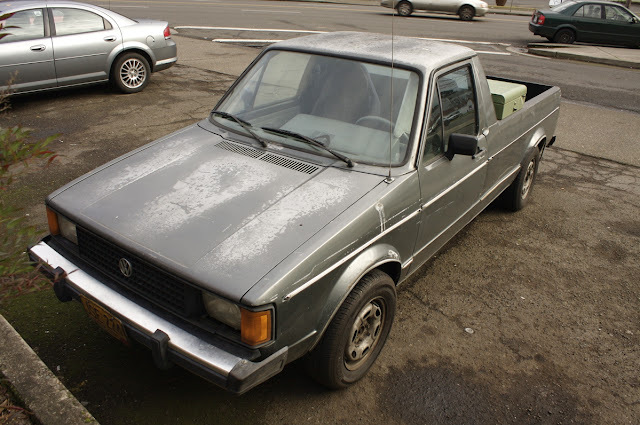 got me an 83 gti. this is cool mega bird splatter on the front fender!!! !